You Are Here: Home > The 2020 GLE SUV Has Arrived at Mercedes-Benz of Rockville Centre! The 2020 GLE SUV Has Arrived at Mercedes-Benz of Rockville Centre! Slide into the luxurious 2020 Mercedes-Benz GLE interior now that the new 2020 GLE is available at our Mercedes-Benz dealer in Rockville Centre, NY, and see why this SUV was designed with you in mind. 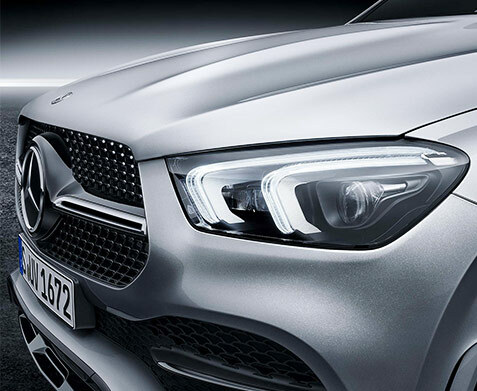 Mercedes-Benz engineers combined striking style and next-generation technology when approaching the new 2020 Mercedes-Benz GLE redesign. Whether you’re looking for impressive performance capabilities or a refined interior that’s ready for any journey, you’ll find everything you desire and more in the new 2020 GLE. 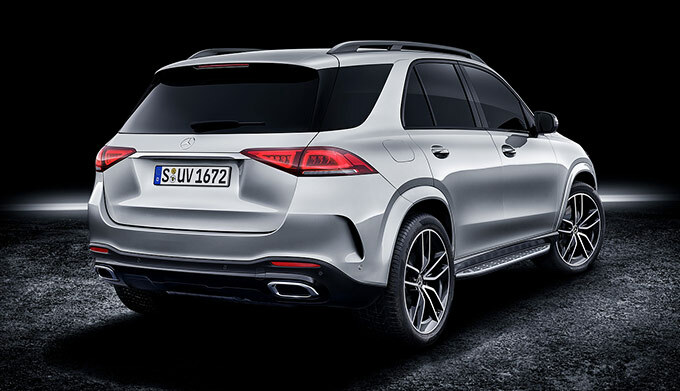 Learn more about the 2020 Mercedes-Benz GLE specs, interior features and technology options, then ask us about your 2020 Mercedes-Benz GLE financing options! The 2020 Mercedes-Benz GLE specs are sure to impress no matter where your journeys may take you. Opt for the 3.0-liter inline 6-cylinder turbo engine that outputs a phenomenal 367 horsepower and 369 pound-feet of torque to be a dominating force down every NY highway and byway. The new 2020 Mercedes-Benz GLE 450 4MATIC® can accelerate from 0-to-60 mph in just 5.5 seconds, and this Mercedes-Benz SUV boasts an electronically limited top speed of 130 mph. 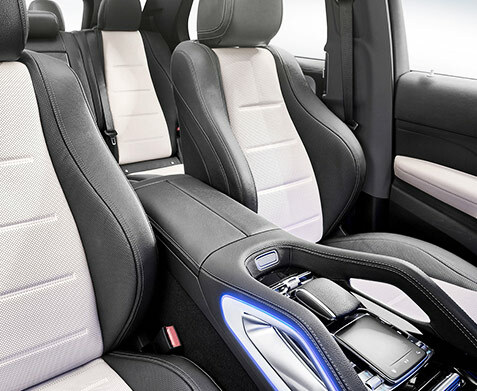 The 2020 Mercedes-Benz GLE interior offers its own host of unique features, including the all-new Mercedes-Benz User Experience system (MBUX). Artificial intelligence can learn your preferences as you drive, and enhanced navigation with augmented reality technology can keep you on the correct course every time you get behind the wheel. Interested in keeping your loved ones safe with 2020 Mercedes-Benz GLE safety features? The new 2020 GLE offers Active Brake Assist to reduce stopping distance, as well as Blind Spot Assist to help you stay aware of hard-to-see hazards. The 2020 Mercedes-Benz GLE is here, so drop by Mercedes-Benz of Rockville Centre to view your 2020 GLE lease and financing options. We can’t wait to get you behind the wheel of the new 2020 Mercedes-Benz GLE SUV!